SEIVA Praktik USB – SEIVA s.r.o. 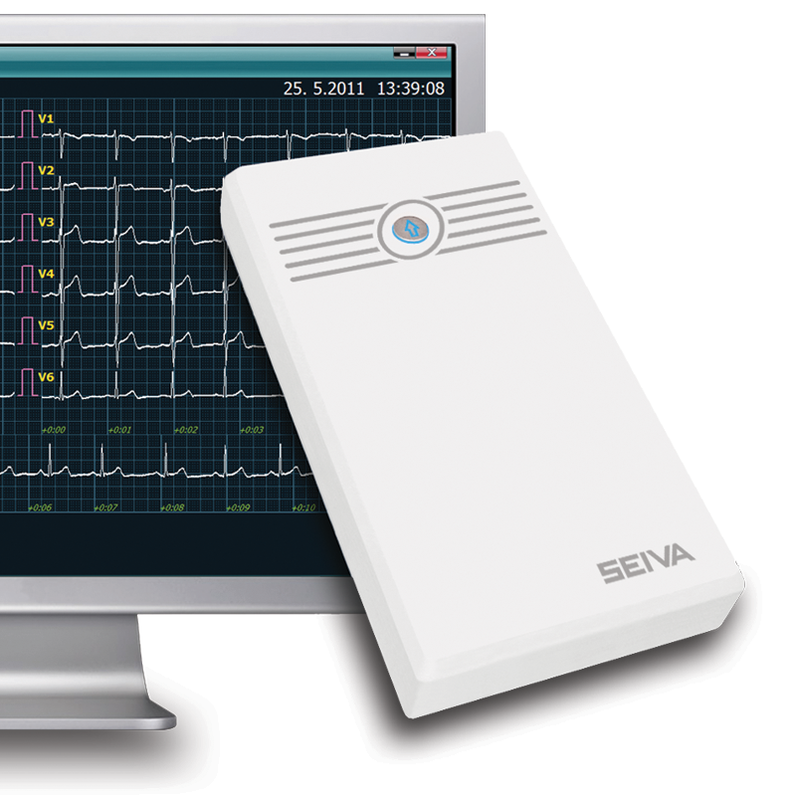 SEIVA ECG Praktik, a twelve-lead electrocardiograph, provides the user with monitoring, recording, printing and archivation of ECG records. The device embodies features, which makes it universal tool for cardiological examination. Yet its operation is very simple. The operation of the device can be done automatically – by pressing one button, a whole sequence of steps can be started from recording through saving up to printing. ECG Praktik can be upgraded with Stress Test. SEIVA ECG Praktik records by special SEIVA database together with other diagnostic examinations. All records can be recalled and worked with. Through SEIVA database ECG Praktik can work in a computer network as well as communicate with ambulantory software. SEIVA ECG Praktik is powered directly from a PC. Therefore there is no use for accumulators nor moving mechanical parts such as thermoprinter. SEIVA ECG Praktik uses standard A4 office paper. In comparison with thermopaper, the record is in better quality, more readable and lastly. All 12 leads real-time ECG monitoring can be viewed for an arbitrary time length and diagnostically interesting events recorded for later analysis.